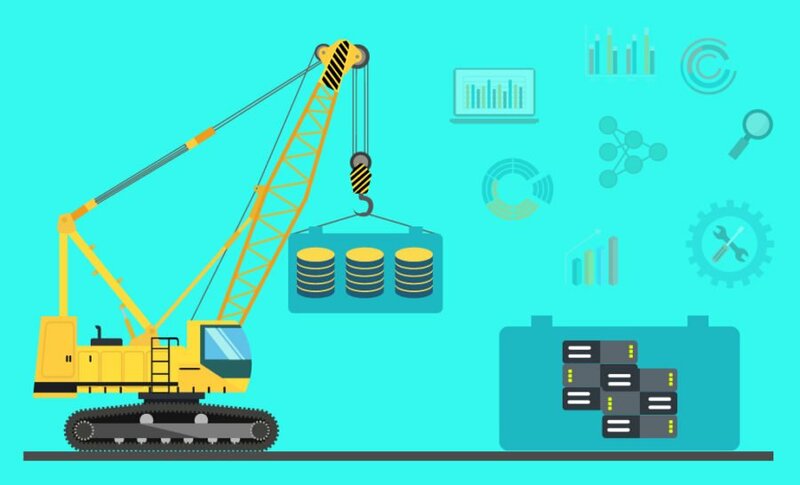 In our previous blog, we had introduced the concept of Big Data Analytics and its immense value to manufacturers. If you are intrigued by Big Data and want to implement it in your manufacturing enterprise, we will explain the factors to be considered in step by step detail. Before you go ahead to procure Big Data infrastructure and recruit capable resources to setup and build the system, you should conduct a thorough assessment as to whether you really need Big Data for your enterprise. You would already have a clear understanding of your business processes, workflows, sources of data (both structured and unstructured) and your business domain. You can use this knowledge to determine what and how much information is needed at different department levels to ensure streamlined processes, customer insight, scope for continuous improvement, uninterrupted production, improved service levels and unparalleled customer satisfaction. Being a manufacturer, you would want to monitor production and inventory at all times, tackle probable breakdowns before they occur, upkeep high quality levels, track sales patterns, customer behavior, market trends, customer feedback and efficiently plan sales & production, make subtle changes to the product and keep the online sales platform updated at all times. As an enterprise, you would need to evaluate your requirement and take a decision accordingly. If the amount of data collected is manageable by conventional data management systems, you can wait till you actually feel the need to implement Big Data for your business. If you have decided to implement Big Data in your enterprise, you would need to create a suitable plan that can be achieved in a specific span of time. You would definitely not want to spend too much time and money, and would want to finish the implementation without disrupting your normal operational flow. There are various organizations such as Google, Microsoft, Oracle, Amazon, Hadoop, IBM etc. that offer off-the-shelf capabilities to build the Big Data environment on their respective cloud platform at cost-effective rates. This is without a doubt, a critical phase as it will make or break the entire project for the manufacturing enterprise. Before going to the technological requirement and setup, it is important to understand how the Big Data system is structured. These data sets are in different formats (structured, unstructured, semi-structured), collected and stored at different platforms/storage devices and are independent of each other, thereby forcing the manufacturer to access multiple software/dashboards to analyze and derive useful insights out of them in a usual setup. Big Data technology takes all the data, stores them various repositories, analyzes it using various tools and then lets you access it in any way you want it to be. The Big Data concept works on procuring large volumes of data from different data sources mentioned above, converting the data into a common format that is understood and analyzed. Due to the sheer volume and variety of data, organizations will have to rely on Data processing & storage warehouse systems such as Hadoop Distributed File System (HDFS) which is a distributed file system, Google File System, or Relational Database Management System (RDBMS) that store different data types. Also, there are NoSQL based architectural tools such as Apache Hadoop, HBase, Cassandra, MySQL etc. that will need to store this data in a format that a common man’s computing system can understand. This is the most critical layer where the data is converted into a useful piece of information that you and your organization will consume on a daily basis. There are off the shelf data analytical tools that will convert these data into a suitable format required to produce the end output – meaningful insights. If you have a data analytical team, they can build the necessary tools and systems based on your requirements. The commonly used tools are Apache Pig, Hadoop Hive, Python etc. that will analyze the data and derive patterns/trends and deviations. This is the end result of Big Data. The churned data is then represented via dashboards, statistical numbers, tables, charts, key takeaways etc. through specialized visualization tools to the end user. Tailormade analytical reports are made available to each department based on their requirement. Simultaneously, you need to hire the right people with the right skillsets to build and manage your Big Data ecosystem. There are various Big Data roles such as Data Scientists, Analysts, Engineers and Developers who can write algorithms to analyze the data and derive useful insights through interactive dashboards and tools for various departments in the organization. To successfully setup a big data system, it requires considerable time, effort and cost from the part of the organization. With a reliable partner, correct choice of technology & tools, and swift, accurate implementation, manufacturers can ensure a successful setup of Big Data in a cost-effective manner. How does ERP streamline Sales Management for Manufacturers? What Problems do Manufacturers Face with their Sales Management? How can Manufacturers Realize the Complete Potential of CRM with an ERP?